Festive greetings, fiction fans! Today will be brief so let’s get right to it. Last week we announced our upcoming narrative guide, Halo Mythos: A Guide to the Story of Halo, coming in 2016 from our friends and partners at Egmont Publishing. We’re incredibly pleased with the level of excitement the lore community has shown for the possibilities within the book, and we can’t wait to get it in your hands next fall. If you recall, last week I also said that I wasn’t sure if we’d have a normal issue come out today. What can I say, Halo community, I just can’t quit you. In fact, I figured that while I’m down in sunny Florida celebrating Christmas with the rest of the Grim clan, it was only logical that we give the lore legion a small gift of their own – one that’s been on many of your wish lists for Story Claus. 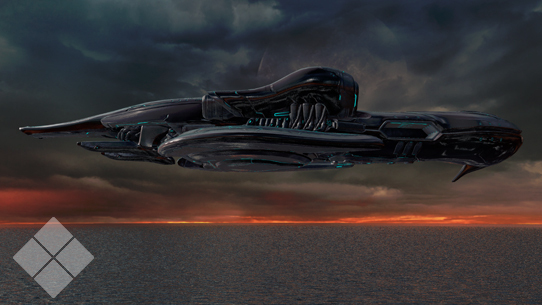 So today we’ll be taking a quick look at the new alien ships seen in Halo 5: Guardians. Let’s get to unwrapping! From the moment fans laid eyes on the opening cinematic of Halo 5: Guardians, the lore community was abuzz with speculation on the new craft being encountered as Fireteam Osiris descended upon the icy surface of Kamchatka. So what’s up with these new craft? 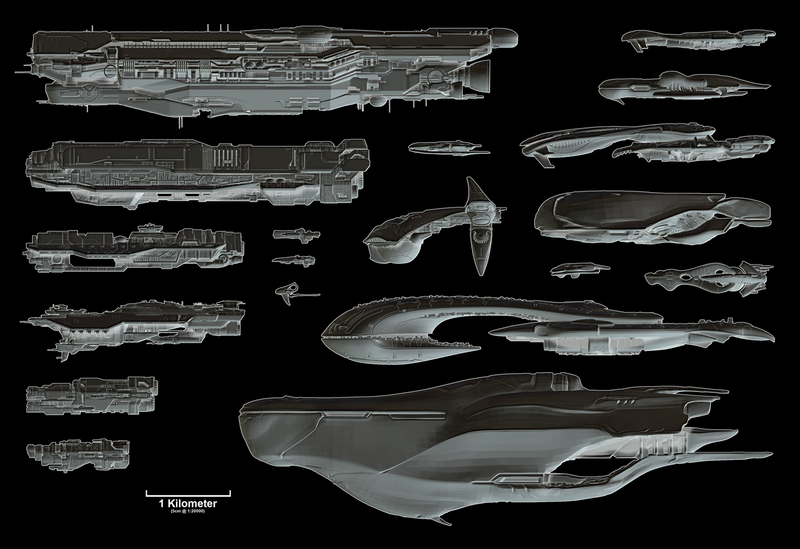 To start, for the most part these are Sangheili warships whose designs predate the Writ of Union. As such, they do not formally use the Covenant ship classification system (CCS, SDV, CAS, etc.). These craft were all designed with specific roles in mind, in contrast to the multipurpose functions that many Covenant warships served. 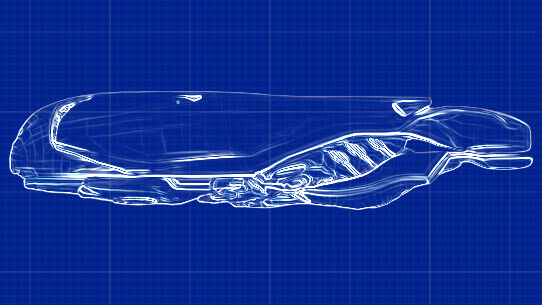 As for the aesthetics, Sangheili warships nearly always have strong biomimetic elements, eschewing the elaborate ornamentation of San’Shyuum preference for the aggressive shapes of wildlife native to Sanghelios and other Elite colony worlds. 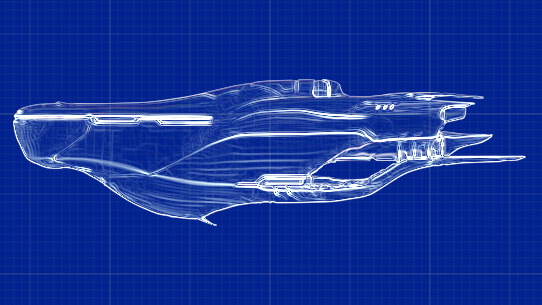 In Halo 5: Guardians, players encountered four classes of Sangheili warship employed by both sides of the conflict, which we’ll review now. Centuries after being rendered obsolete as a mainline warship, the Brigantine served in exploratory Covenant proselytization-tithe fleets throughout much of the alliance’s reign. In the years since the Great Schism, the Brigantine has been pressed back into frontline service as a heavy carrier and fleet command ship for both factions in the Sangheili civil war. 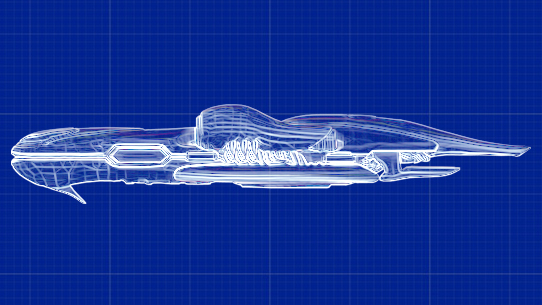 Whereas the San’Shyuum preferred multi-role vessels that could be complete a wide variety of tasks throughout the Covenant, the warring Sangheili factions do not have that luxury. 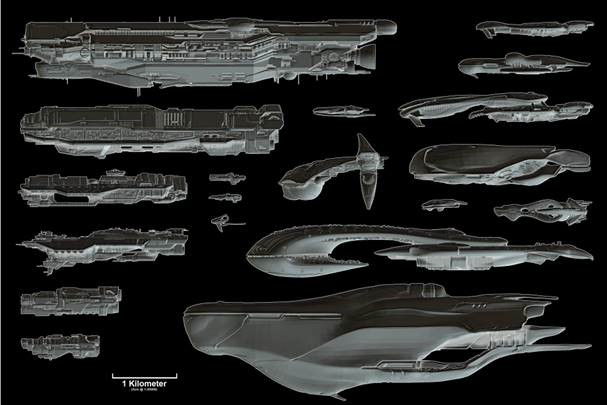 With more advanced vessels destroyed or locked in bitter conflict elsewhere, Sangheili fleetmasters have found that ancient Carrack merchant cruisers are surprisingly capable and resilient troop and materiel transports in modern wars. Eschewing protection for speed and firepower, Blockade Runners have been thrown into supporting ground operations on Sanghelios against the better judgment of their shipmasters. 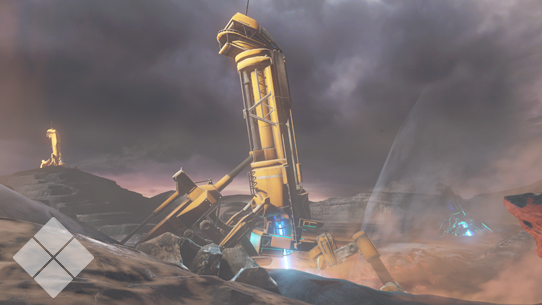 Once-hushed Sangheili war-stories tell of a legendary Blockade Runner Joori’s Light, whose shipmaster and crew were able to evade both capture and destruction at the hands of the San’Shyuum during the War of Beginnings. Rather than bend to the tenants of the Writ of Union, both craft and crew escaped to uncharted space, and were never heard from again. 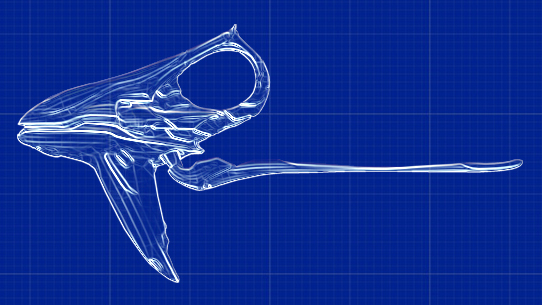 Created using Forerunner secrets unlocked before the War of Beginnings, the Man O’ War represents a pinnacle of Sangheili warship design that, in many respects, was never equaled by Covenant patterns. Reticence to share deeper details about the craft and its capabilities remains strong even today. Until next time… Live well, play Halo, and have a wonderful and happy set of holidays – no matter where you are in the galaxy, or what you celebrate! NEW UNIVERSE ENTRY THIS WEEK! Tasked with maintaining the mysterious world of Genesis, 031 Exuberant Witness aided Spartans against the inexorable rise of the Created. 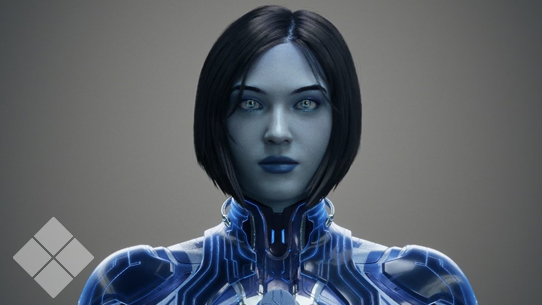 This week in Canon Fodder we look at some details behind the new look of an old friend. 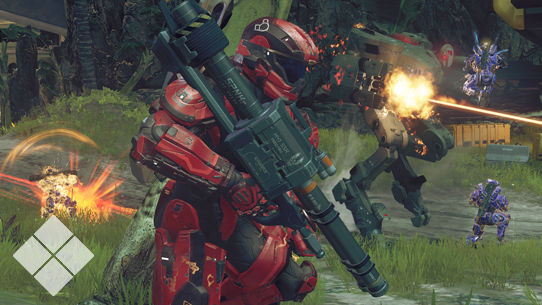 This week in Canon Fodder we take a closer look at the weapons you’ll be wielding throughout Halo 5: Guardians, and chat about the brand new ways the Halo Channel and Halo Waypoint will be supporting your Halo 5: Guardians experience.